A blepharoplasty (eyelid surgery) is a surgical cosmetic procedure used to correct sagging upper eyelids or puffy, fat deposits on the lower eyelids. 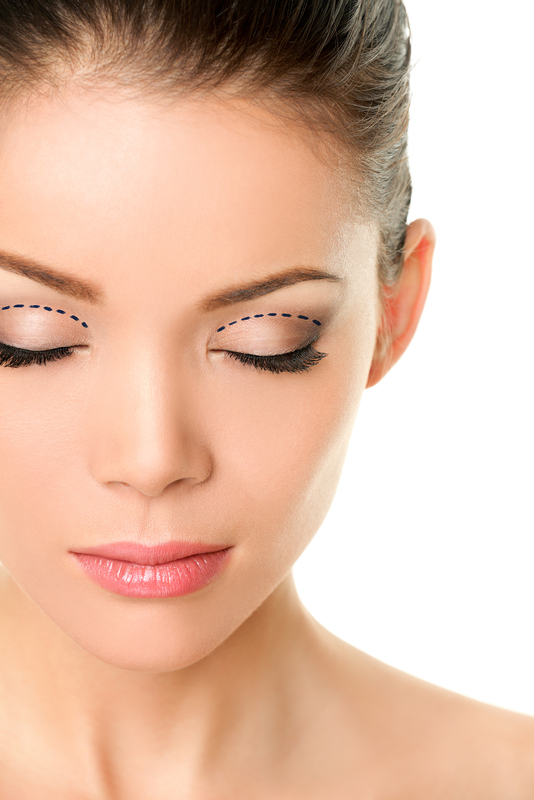 Eyelid surgery has been performed since the early 1800’s and has been thoroughly perfected throughout the years. It is one of the fastest, and easiest facial cosmetic procedures to heal from. If you notice the skin above your eyelids drooping over your lash line, then you are most likely a candidate for an upper eyelid procedure. Sometimes the sagging skin can even impair your vision. If your lower eyes appear to have puffiness and/or dark circles, then you might be a candidate for a lower eyelid procedure. Dermal fillers may be recommended to increase lost volume in the tear trough structure. A complimentary consultation with Dr. Apodaca is required to determine candidacy. How is Blepharoplasty Surgery Performed? Pure Gold Medical Center is equipped with a private surgical suite on site for your convenience. Local anesthesia or “twilight’ sedation can be used for both procedures. During your procedure, Dr. Apodaca will make small incisions on your natural, upper eyelid crease and remove excess skin, fat, and/or muscle. The lower eyelid incisions are made either below the lower lash line or on the interior of the lower eyelid (conjunctival). The excess fat is removed and sometimes a small amount of lower eyelid skin is gently lifted. The incisions are then closed with sutures, surgical tape, or tissue glue. The healing time varies from patient to patient, but is typically 7-14 days. Sutures are usually removed within 3-5 days of the procedure. In you pre-operative appointment you will be provided with post-operative instructions. Click here to review post-operative instructions for blepharoplasty. Call (909) 792-9404 or click here to set a consultation appointment online.